Dr Bethan Stevens has made the skill and artistry of the Dalziel Brothers’ wood engraving available to wider audiences through online exhibitions and websites, and through educational events and workshops. In 1861 Lear switched from lithography to wood engraving as a medium for reproducing his drawings, and started to work with the Dalziels. 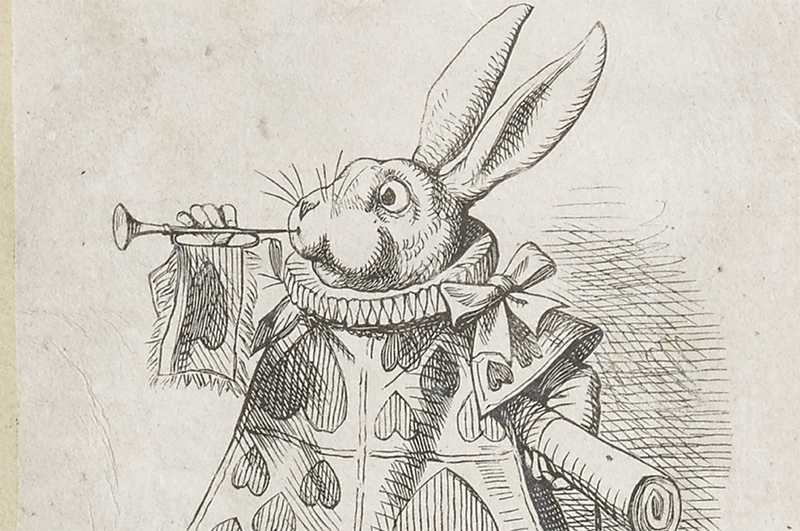 The version of the white rabbit in these engravers’ proofs was rejected by Lewis Carroll. A new proof was made in which the hearts on his vest were the right way up; this represented a great deal of labour for a small detail. 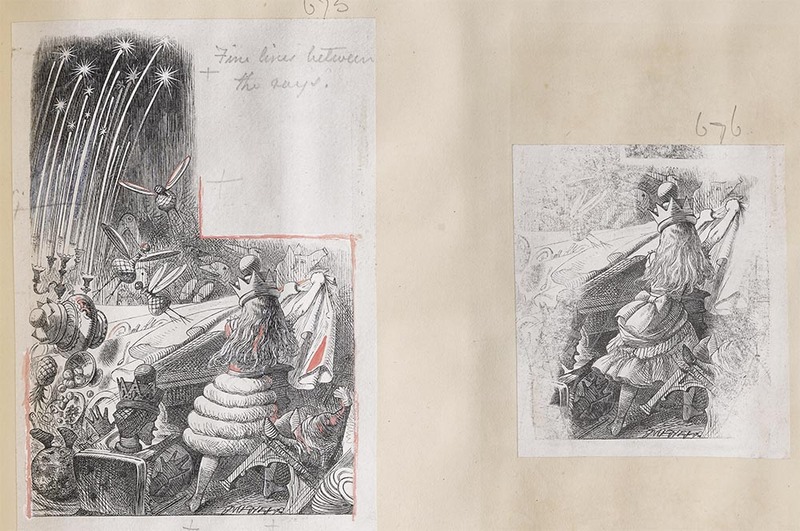 Various Alice illustrations were changed during the production process, and alterations are recorded in the Dalziel albums. In Through the Looking-Glass, several proofs show Alice with a skirt like those worn by the fictional queens (Alice becomes a queen during the novel). However, it was decided to insert a plug of wood and reinstate her own distinctive dress throughout. One example is shown here. Perhaps the rejected skirt had made her look too much like one of the toy chess pieces, rather than a unique human girl. If you look closely at the illustration you can see traces of white bodycolour, opaque pigment used to make corrections. It appears to the right of the candlestick, on the wall above the heroine's head, and faintly on the pillow. 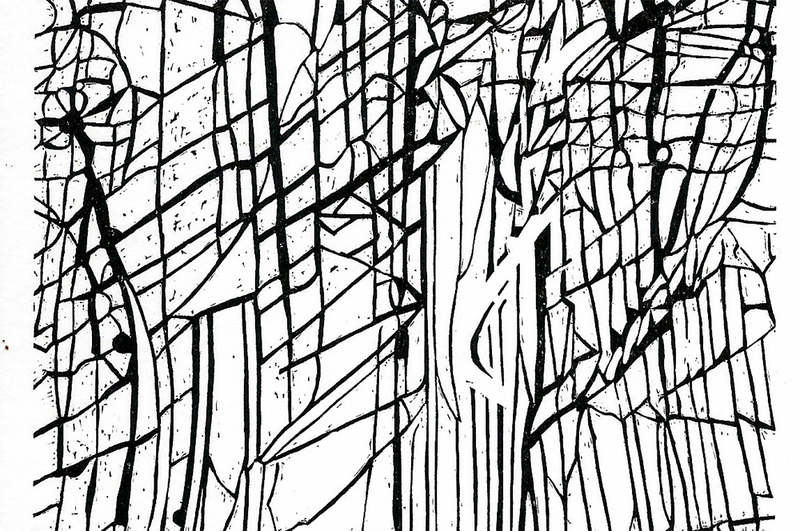 The designer of the illustration is requesting changes from the engraver: that these lines be cut away or lightened. Corrections like these appear throughout the Dalziel Archive, offering insights into the making process. 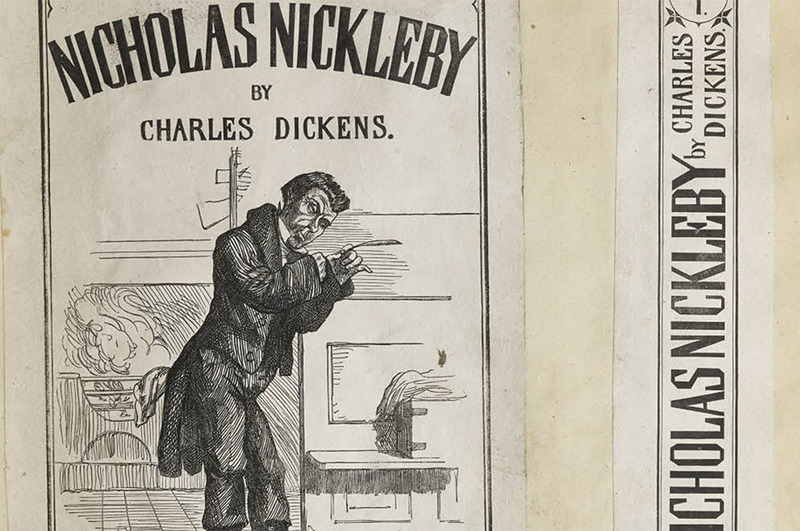 The Dalziels made covers for The People’s Edition, a cheap re-printing of Dickens. The Dalziels also made more expensive images for first editions of his novels. When published, these covers and spines were printed on coloured paper. Dalziel Brothers, proofs of book covers and spines for novels by Charles Dickens. 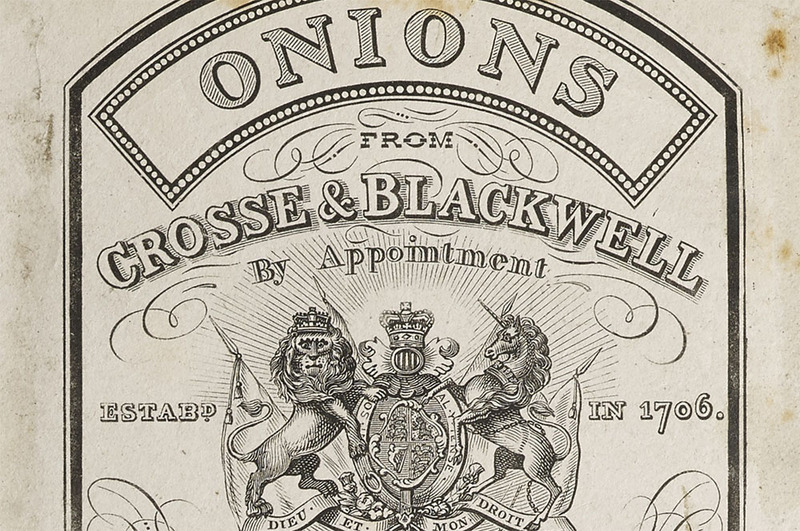 The Dalziel Brothers also produced commercial images, including these advertisements for Crosse and Blackwell’s pickles. Dalziel’s Apprentice by Peter S Smith, relief engraving, 140 x 90 mm. 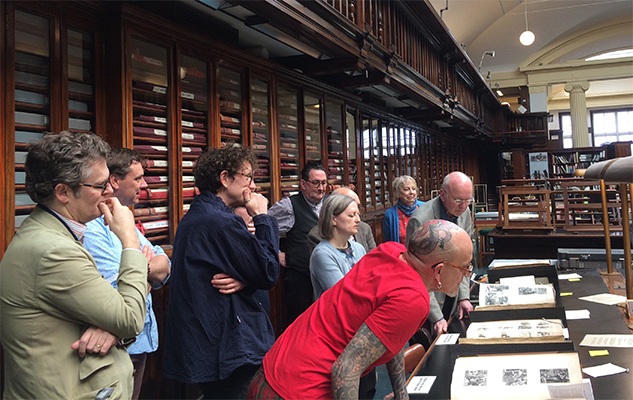 A Dalziel Project workshop with visual artists at the British Museum department of print and drawings. From the illustrations for Lewis Carroll’s Alice’s Adventures in Wonderland, to pictorial adverts for Cadbury’s cocoa, to industrial designs for carpentry, the work of the Dalziel Brothers pervaded all aspects of Victorian life and culture. 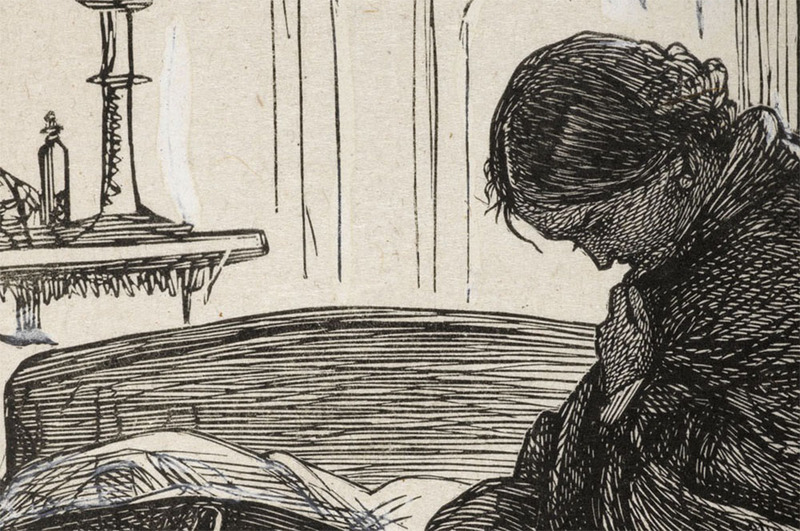 The skills of the wood engravers, who translated artists’ drawings into woodblock prints, were in high demand as the 19th century saw a publishing explosion in books and journals. The British Museum houses the Dalziel Brothers’ own engravers’ proofs of their work, some 54,000 hand-burnished prints of illustrations collected in 49 albums. These have been the focus of a research project by a University of Sussex Lecturer in English. 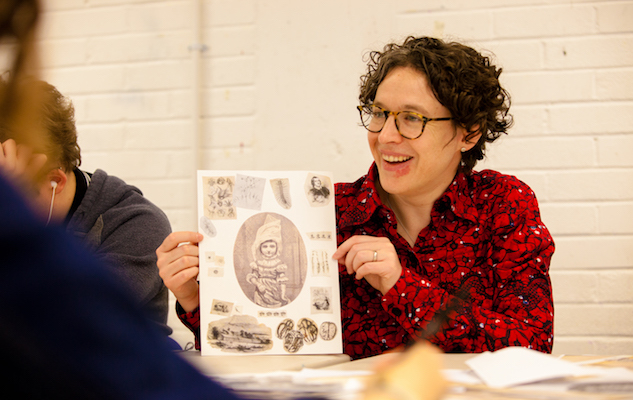 Dr Bethan Stevens has catalogued the entire archive of illustrations, created a website, curated an online exhibition and is in the process of writing a monograph about the engravers in order to give new audiences an opportunity to explore and enjoy the Dalziels’ craft. “The variety is fascinating,” says Dr Stevens. “There are plates for works by Trollope and Dickens, and engravings designed for Rossetti’s poetry, but there are also labels for jars of Crosse & Blackwell’s pickled onions. “The Dalziels’ distinctive prints really set the tone for Victorian illustration, when we saw a burgeoning of visual culture that still resonates today – our immersion in new visual media owes a lot to the technical and cultural developments of Victorian printmaking. George Dalziel and his brother Edward, who began their company in 1839, used the latest medium: wood engraving. This was a newly redeveloped printmaking technique that was sophisticated but inexpensive; engraving on the endgrain of a hard wood gave intricate detail, but was cheaper than copper or steel engraving, and therefore suitable for mass production. Two other brothers, John and Thomas, and a sister, Margaret, later joined the business, which thrived for fifty years - with 26 or more engravers employed by the company. Often they were creating engravings from the designs of celebrated illustrators of the day, such as Dante Gabriel Rossetti and John Everett Millais; these were artistic collaborations, although the engravers invariably received little credit for their role in it. “It was a specialist skill and it took years to become expert in it,” says Dr Stevens. “The preliminary drawing is made on a woodblock and the engraver cuts around the lines to realise them. But wood-engraved lines are very different from those in pen or pencil: colour, texture and depth all change. Despite surviving many cultural and technological changes of the 19th century, by 1893 the Dalziels were put out of business by “new technologies” involving photomechanical printmaking. Alice Through the Looking Glass. Reproduced by permission of the Trustees of The British Museum. All Rights Reserved © Sylph Editions, 2016. 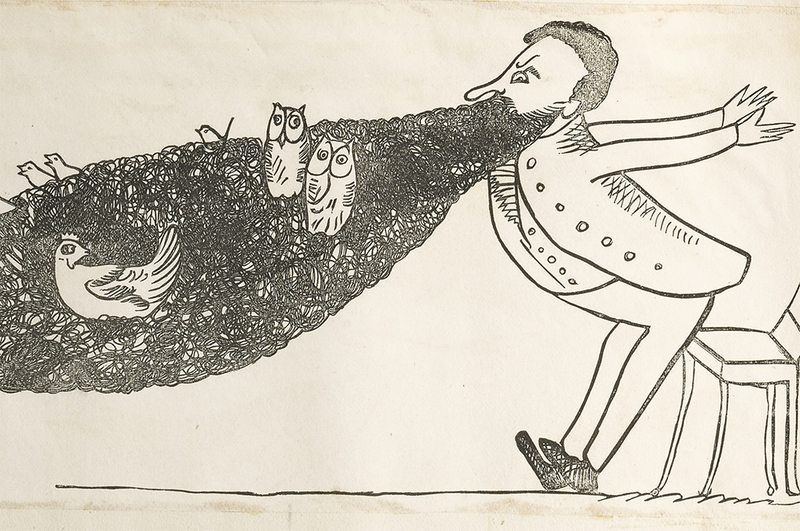 Now an archive of Dalziel illustrations is available for the first time, on the British Museum’s collection online. Prior to the project no photographs of the archive’s 54,000 hand-burnished prints of Dalziel illustrations were available. Stevens worked with photographers at Sylph Editions to photograph every album page, resulting in almost 14,000 images. Dr Stevens wrote extended catalogue descriptions for each of the archive’s 49 albums, which each contain up to 1700 prints. The catalogue summarises key material in each album, attributing many thousands of illustrations to specific designers and artists, writers, historical themes and publications, allowing online users to identify albums which will interest them. 54,000 illustrations captured in 14,000 photographs and 49 albums with catalogue descriptions. Available on the British Museum's online collection, which has 1.3 million page views per month. Dalziel, illustration for 'Wood Engraving', in Laura Valentine (ed. ), The Home Book of Pleasure and Instruction (London: Frederick Warne, 1867). Dalziel Archive Vol. XXIII (1867), British Museum reg. no. 1913,0415.184, print nos. 609 & 611. By Permission of the Trustees of The British Museum. All rights reserved © Sylph Editions, 2016. Together with curatorial assistant George Mind, they also created a website, Woodpeckings (woodpeckers being Victorian slang for wood engravers), which incorporates information about the history of the company. The website houses an online exhibition, ‘Alice to Alice: Dalziel 1865-1871’, which highlights some of the 12,855 engravings made by the Dalziel Brothers between the dates of the first publications of Alice’s Adventures in Wonderland and Alice Through the Looking Glass. It includes not just those iconic images from the Alice books, but also some of the more extraordinary works in the archive, such as veterinary images of calf fetuses and bizarre and humorous cartoons, gathered together in ten themed sections. Stevens and Mind have initiated several events with young people, including two projects with 110 students taking the Extended Diploma in Art and Design at the University of the Creative Arts in Rochester, Kent. During the two-week courses the 16 to 18- year-old students were encouraged to create their own response to the content of the albums. “The range of materials and approaches the students took showed incredible skill, imagination and sophistication,” says Dr Stevens. The project has also developed a collaboration with ten professional wood engravers to compare Victorian and contemporary practice. Some of these have made new works that respond to the Dalziel Archive. For example, Peter Smith’s Dalziel’s Apprentice, pictured below, reinterprets some of the apparently simple backgrounds of the illustrations to explore the kind of laborious but fascinating artistic work that was done by trainee engravers. Dalziel’s Apprentice has been widely exhibited in 2018, for instance at the London Original Print Fair (Royal Academy of Arts) and RE Originals (Royal Society of Painter-Printmakers, Bankside Gallery). Dalziel’s Apprentice by Peter S Smith, relief engraving, 140 x 90 mm. Image courtesy of the artist. Dr Stevens will also be curating a gallery display in the Prints and Drawings Department of the British Museum in spring 2019, and is writing a monograph The Wood Engravers’ Self Portrait: The Dalziel Family 1839-1893. The project has been funded with a grant from the Arts and Humanities Research Council, with support from project partners the British Museum and Sylph Editions. Read more: Wood engraving as ghostwriting: the Dalziel Brothers, losing one's name, and other hazards of the trade.